Note: This tour is ideal for families who want to escape the summer heat! 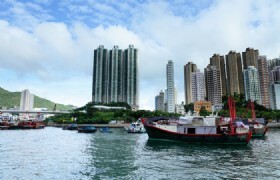 The 5 days tour incoporates sightseeing, theme park and shopping. 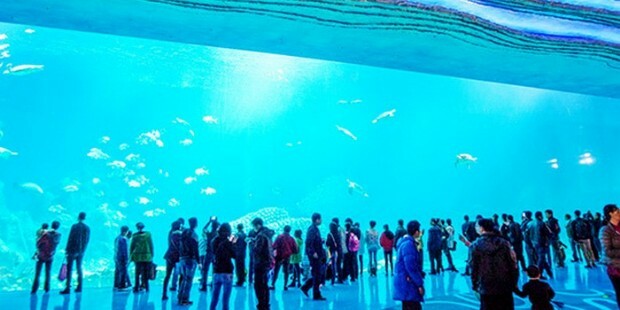 This tour is ideal for families who want to escape the summer heat! 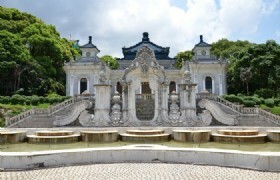 The 5 days tour incoporates sightseeing, theme park and shopping. All land transfers by coach or ferry. 5 set menu dinner meals & 1 Macau meal coupon & 4 breakfasts. Sightseeing as listed in itinerary. Service of English & Chinese speaking guide. 144 hours group visa to Guangdong Province. 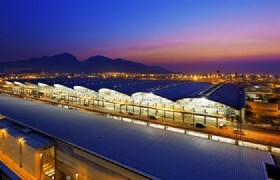 You will be picked up by your English speaking tour guide from Hong Kong airport and transferred to the hotel. 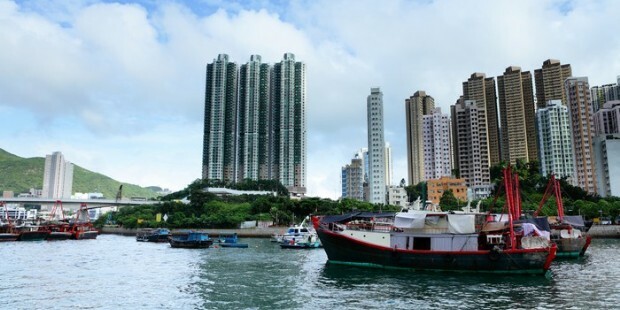 This morning you will have a Dim Sum breakfast.Then you will visit Bruce Lee Museum, Hong Kong Repulse Bay, Aberdeen Fishing Village and Victoria Peak (include one way peak tram). 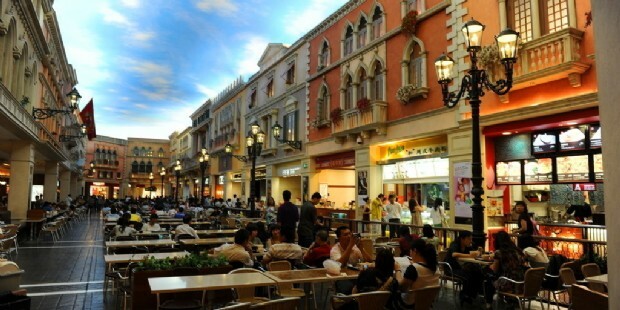 Visit Stone Street, which is the shooting spot of Chongqing Forest and Infernal Affairs. Then proceed to visit Asia's longest Escalator Pound Lane Escalator System. 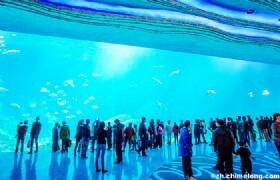 Then you will be transferred to Zhuhai for shopping at Gongbei Underground Shopping Mall. Then you will check in to your hotel. 2) 9 thrill rides, featuring Ocean Adventure, Pirate Island, Glacier Adventure, etc. (3) Sea Lion Legend - An ever comic performance played by Sea Lion, Walrus, Otter and the stutmen. 19 Restaurants providing various cuisine, including Chinese food, Western food, Japanese food, South-east Asian food and Cantonese food. 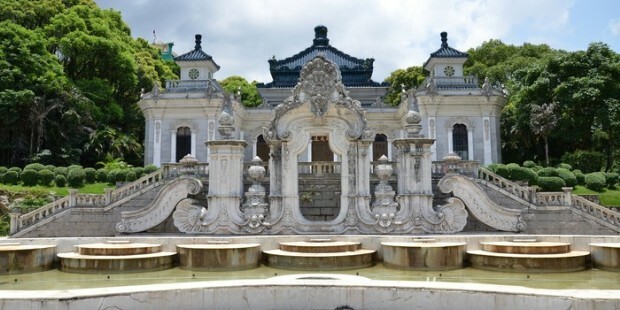 This morning you will visit the famous theme park---New Yuanming Palace. 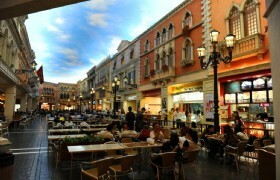 After lunch you will be transferred to Macau where you will check in to your hotel. Then enjoy your free leisure time. 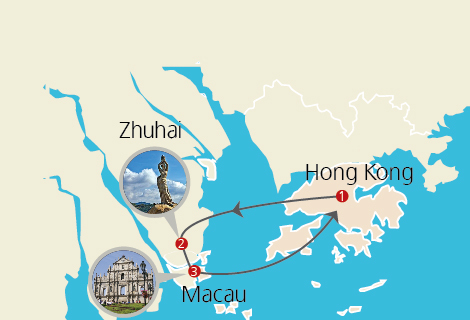 You can go on a open top bus, visiting attractions such as Macau Ferry Terminal → Fishman Wharf → Science →Hotel Lisboa → VIP DAY →Macau Tower → A-Ma Temple → Ponte→Red Market → Macau Ferry Terminal. Or you can enjoy your time at the Venetian. The New Yuanming Palace: Located at the foot of the Lanpu Dashilin mountain, covering an area of 1.4 square kilometers, the New Yuanming Palace is a reproduction of the imperial Yuanming Palace in Beijing, one of the favorite gardens of the late emperors of the Qing dynasty. 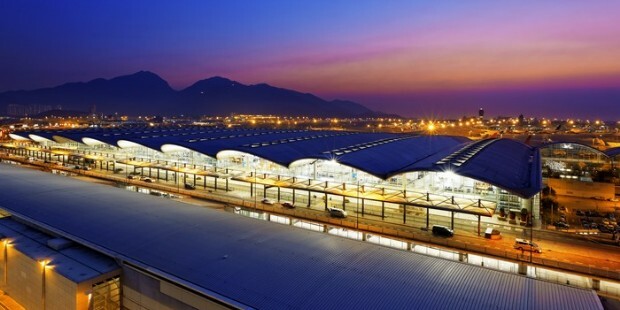 After your hotel breakfast, you are free for your own leisure until you are transferred to Hong Kong International Airport by ferry. * The group size is from 2 persons up. Join-in group tour for 2 to 5 persons, private tour for 6 persons up. * It is guaranteed that if the hotel indicates above had full booked already, the same grade hotel will be provided.